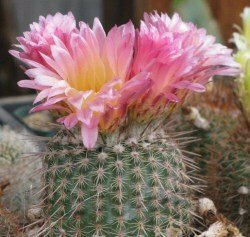 Many cactus plants are grown as houseplants - it's not because they are so drought tolerant and can put up with neglect, lack of water, and overcrowding. It's not because of their funny shapes, interesting textures and odd arrangements of spines, prickles, fuzz or wool. It might be because of their gorgeous brightly coloured flowers, in all shades of white, orange, pink or yellow, that are crinkled and look like tissue paper. It also could be because they are so slow growing and really don't need constant fussing over. Whatever it is, cactus plants are one of the most commonly collected by home owners with a sunny window sill to fill. Cacti come in all shapes, sizes and growth habits. Native to arid deserts and harsh conditions, they've evolved to take advantage of short periods of wet weather to store it for the times when there is no water available, which could be years. 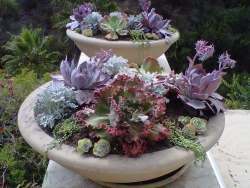 They are known as 'succulents' for this characteristic. See the definition of succulent here. Drought in these areas is common, so the cactus plants that grow here have adapted to these challenging conditions. Many cactus plants have thick leathery skin, with a waxy coating to prevent moisture loss. They also have spines to prevent animals from eating them; they are after all, full of moisture. They have two distinct types of roots; a long thick taproot, also capable of storing moisture, and a network of fine hair like roots close to the base of the plant. This enables the plant to seek out moisture in lower layers of soil with the long taproot, and also be ready in the case of a rain shower that only sprinkles the surface. These two different kinds of roots cover every eventuality. The desert looks like a dry and inhospitable place, until about a week after a heavy rainfall. Then, suddenly, buds explode into action, and flowers of all shapes and sizes open to attract insects to pollinate them, a rare event, and one that they take every advantage of. In some areas, the blooming of the desert is a long awaited spectacle, with tourists arriving from all over the country to see it. Help! Shrinking and need id! 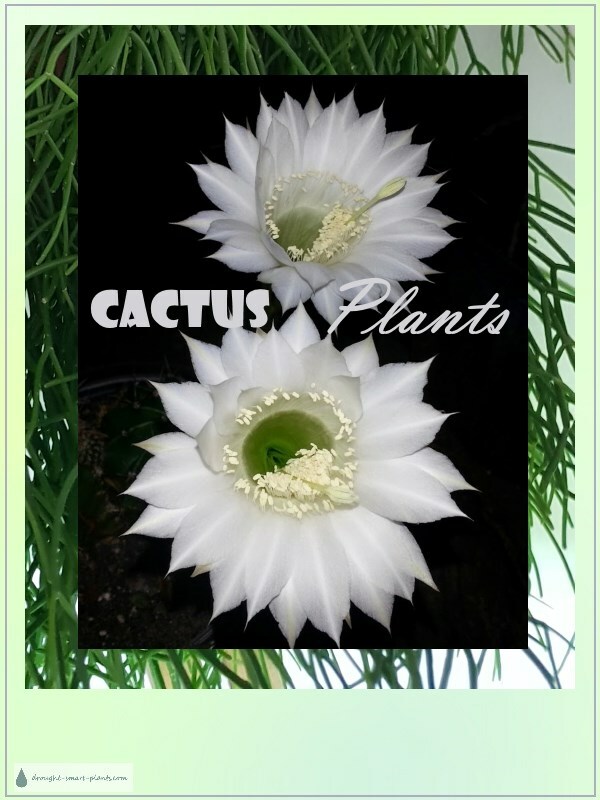 Short, columnar, six-lobed cactus with short black thorns.